This is a diamond shaped Chicago Aurora and Elgin Railroad porcelain sign. This particular Chicago Aurora and Elgin sign is predominantly red with a yellow border and white text. 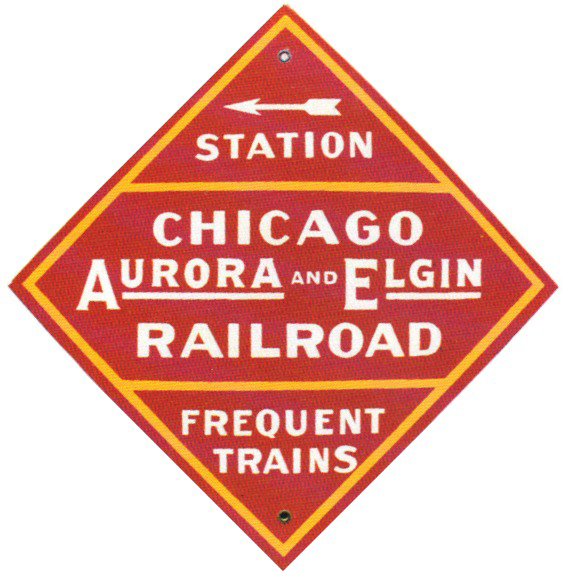 It reads, “Station, Chicago Aurora and Elgin Railroad, Frequent Trains” and features a white arrow at the top.